What was once the joke of the sport community has come back to become one of the most successful media sensations of the past decade.The underdog of this story is no other than Esports. You didn’t see that coming did ya? Esports, also known as electronic sports, is where players are competing in video games.How can video games be a sport? This single question has plagued the esports community for an eternity, and has discredited the legitimacy of Esports. But don’t be fooled! Esports absolutely deserves our respect and should be considered as sport around the world. Now you might be asking why on Earth would anyone watch people play video games? Well the answer is quite simple. Attraction. Like regular sports,Video games historically have been a way to have fun with friends or an outlet for one to relieve themselves from a bad day.With beautiful graphic,online multiplayer,and the ability to run on multiple platforms, these features attract many players and create an enormous dedicated fanbase, paving the way for games such as Valve’s Dota 2 and Blizzard’s Overwatch to become major Esports. Esports not only attract many players, but also many large name people such as former basketball athlete Rick Fox,who now owns premier Esports team Echo Fox5, and former CEO of Mercedes Formula One Nick Fry joining Fnatic1.These are just the few big names that Esports have attracted, and with the scene showing no sign of slowing down in the future, more celebrities have invested into Esports and supports the idea that Esports is a sport. Now let’s take a look at Esports viewership in the past years.From January 11 to January 29, Valve’s Counter Strike Global Offensive,one of Esports biggest games, had its first major of 2018, the Eleague Boston Major.According to ECS the “Eleague Major 2018 became the most popular tournament in the history of competitive CSGO among non-Chinese viewers with 1,342,107 people online” and with good reason.The grand finals saw home favorite Cloud 9 who like David and the Goliath, trumped over Europe all-star team Faze Clan and made this North America’s first major victory in the game’s history. With view counts like this, one cannot help but respect how far Esports has come. Wait. Do you hear that? That furious typing of a keyboard? That’s the sound of uninformed fools typing comments such as“Video games isn’t a sport, it’s a game” to shutdown any conversation about Esports.It’s outrageous that games such American Football, where men run into each other over a ball can be considered a sport,while technological wonders are considered a childish passtime.Take a look at the definition of a sport. According to the English Oxford Living Dictionaries,the definition of a sport is “an activity involving physical exertion and skill in which an individual or team competes against another or others for entertainment”. Esports clearly fits this criteria. According to Professor Ingo Frobös,he stated in an interview with the DW that “The eSports athlete achieve up to 400 movements on the keyboard and the mouse per minute, four times as much as the average person” and “…this combined with a high pulse,sometimes as high of 160 to 180 beats per minute, which is equivalent to what happened during a very fast run, almost a marathon.” These statistics prove to all the doubters that physical exertion is required in Esport and justifies Esport as a sport. Esports has skyrocketed to the top of the entertainment industry,has shown that it deserves our respect and is a legitimate sport.Compare it to whatever sport you want, at the end of the day they’re just a game. 1.Ashton, Graham. “Fnatic Brings Aboard Nick Fry as Head of Commercial Strategy.” The Esports Observer, 6 Feb. 2018, esportsobserver.com/fnatic-nick-fry-appointment/. 2.“Results of ELEAGUE Major 2018.” Results of Eleague Major 2018, ESC, 30 Jan. 2018, esc.watch/blog/post/eleague-major-2018. Schütz, Martin. “Science Shows That ESports Professionals Are Real Athletes | Sports| German Football and Major International Sports News | DW | 12.03.2016.” DW.COM, DW, 12 Mar. 2016, http://www.dw.com/en/science-shows-that-esports-professionals-are-real-athletes/a-19084993. 4.“Sport | Definition of Sport in English by Oxford Dictionaries.” Oxford Dictionaries | English, Oxford Dictionaries, en.oxforddictionaries.com/definition/sport. 5.Tsuji, Alysha. “How Rick Fox Is Changing the Culture, Strategy of ESports — at Least at One Team.” USA Today, Gannett Satellite Information Network, 15 Oct. 2017, ftw.usatoday.com/2017/10/rick-fox-esports-echo-fox-brandini-changing-culture-fitness-workout-stigma-video-games-real-sport. 6.Wingfield, Nick. 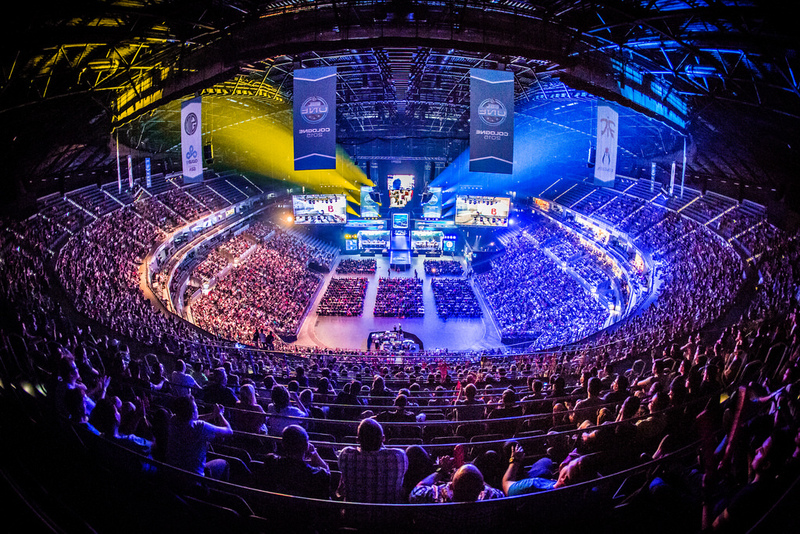 “In E-Sports, Video Gamers Draw Real Crowds and Big Money.” The New York Times, The New York Times, 30 Aug. 2014, http://www.nytimes.com/2014/08/31/technology/esports-explosion-brings-opportunity-riches-for-video-gamers.html. When all words fail, music speaks. Very good job! I loved your use of rhetorical questions within your editorial and your comparisons between different types of sports to Esports. I don’t really have much knowledge about Esports but by reading your editorial I can see the value in them and how they are taking the world by storm. Very well done Richmond! Excellent work Richmond! Your use of hard-hitting diction, rhetorical questions, colloquial language, and modern age references really hooked me in and convinced me of the legitimacy of eSports. Your statistics are really well integrated seamlessly with your stance on how eSports is growing in popularity and how it is a sport. I totally agree and support how eSports shouldn’t be “memed” upon. Very good job Richmond!